Pittsburgh, PA: Over 250 teams kicked off their travel season at the annual WPA Bruins Spring Tip-Off Classic this past weekend in the Steel City. It featured many Under Armour, Nike EYBL, Adidas Gauntlet and some of the top independent clubs. Here's a brief look at some of the top performers. Sometimes in life, you find yourself in situations where the cards are stacked against you. In basketball, that’s when you find out who the competitors are out on the court. Alexis Hess showed moxie and grit in her team’s loss to a very good Team Takeover Jr. EYBL team. She has great size for a point-guard which she uses to get to spots on the court where she can create for herself and others. She has really good court vision in the open court which she was able to use to hurt Team Takeover at times. Alexis is one to watch as the Comets continue to get better this spring. Basketball is best played when you are passionate about what you are doing. The game is enjoyable to watch when you get to observe those players. Qadence Samuels is excited about basketball and a joy to watch. She has great energy and an ultra-high activity level. Though she did not score much in Team Takeover’s 42-19 win over the Comets, she impacted the game on many levels. Samuels play defensively on the point of the full court press was outstanding. She was able to rattle pretty good ball-handlers with her quickness and length. Samuels left her fingerprints on this game with relentless effort on both ends of the court. Whether it was providing a spark defensively or on the boards, Samuels was up to the task. I’d say she’s the kind of girl that will be the heart and soul of whatever team she plays on. At the next level, you have to be able to defend. Reigan Richardson’s ability to guard multiple positions was paramount in Team United’s 1-point win over a very talented Michigan Crossover team. Down the stretch, Richardson used her size and strength to get back-to-back baskets at the rim. The second basket was through contact from a seemingly impossible angle that put Team United up 4 with a little over 3 minutes to go. But Richardson’s ability to defend Crossover’s point guard during stretches and then, later on, defend one of the top wings in the country was critical. Richardson is a physical defender who can move her feet and play with her hips and chest. This proved very difficult for players who I’ve seen breakdown some of the best of the best. Richardson is tough on the ball for sure and has the tools to be effective on the offensive end as well. Sad to say, but The “Diminutive One,” Kailee Davis will get written off by many P5 schools on size alone. Some will say she’s not fast enough or athletic enough. And those same people will miss out on one heck of a basketball player. Davis has many layers to her game. She’s rattlesnake quick on the ball and reads passing lanes well. On the offensive end, there’s not many better at changing speeds with the ball. Even at her size, she has a knack for finishing over or around length at the rim. She has the floater, pull-up, and 3ball: catch & shoot or off the dribble. She’s a phenomenal passer in transition. Davis is the kind of player that makes plays that can change the momentum and flow of a game at any time. Kailee Davis is a must watch this spring and summer. Sahnya Jah has a take your breath away type of potential. She’s a physical presence on the court. A bull in a china shop and I mean that in every good sense of the phrase. There just aren’t many 2023s with her blend of skill, strength, and speed. Jah can take you off the dribble or hurt you in the post. And if Jah wants the rebound, Jah gets the rebound. I didn’t see another 2023 at the WPA Bruins Tip-Off with more upside than Jah. Remember the name: Sahnya Jah as she has an outstanding future ahead of her. This one seemed to be over before it began as Indiana Flight jumped out to an early 16-5 lead behind the sharp shooting of Audrey Annee and the poise of PG Lauren Klem. The Crossover pressure that swallowed up all of their other opponents initially did not affect a tough Indiana Flight team. But as the game wore on, the Michigan Crossover increased their ferocity on the defensive end. The pressure just eventually wore the Flight down as Crossover was able to pull out a 6-point victory. The Crossover was led by the dynamic backcourt of Bailey Pickens and Nakiya Bonner. These two go together like peanut butter and jelly. Both dominated the game in spurts with deflections and steals that lead to layups. Mackenzie Swanson and Kendall Hendrix are steady in the frontcourt. Both are tough defenders and a handful on the offensive end. I believe Anna Lassan is the unsung hero of this team. She seems to make the key three or get the critical rebound when the Crossover needs it. This Michigan Crossover team stock is rising. 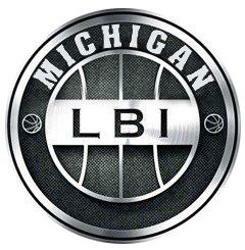 Let me start out by saying, the game between FBC Youngunz/Michigan Crossover 16U was loaded with talent. There was good basketball being played and when that happens, I just want to put my pen down and become a fan. Briana Turnage is a 6’0” wing that just looks the part. She’s super long, athletic, and runs the floor effortlessly. But the most enjoyable thing about her is she plays hungry and doesn’t back down from anyone. She’s a competitor…but so is Ruby Whitehorn and they weren’t giving an inch. Listen, I’m all for great sportsmanship, but I’m also all for great gamesmanship. I like a little edge to a player. After all, basketball is a competition. Briana and Ruby competed at a high level and shared some words, but these two were phenomenal. Whitehorn was relentless attacking the basket. She finished through contact and displayed the ability to finish no matter who was guarding her. Turnage was equally impressive and a joy to watch.